Progressive Chat: Spicey is back! 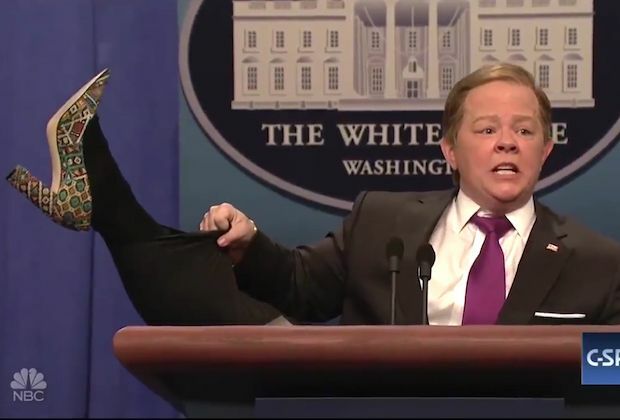 Melissa McCarthy reprices her role as Sean Spicer. Watch the video. Spicey is back! Melissa McCarthy reprices her role as Sean Spicer. Watch the video. Melissa McCarthy returned to "Saturday Night Live" this weekend to reprise her role as White House press secretary Sean Spicer. Spicey was back in full force, and she portrayed him as eccentric, short-tempered and disrespectful to journalists. There were GI Joe and Barbie props, a Jeff Sessions introduction, and she even blew us away with a leaf blower!